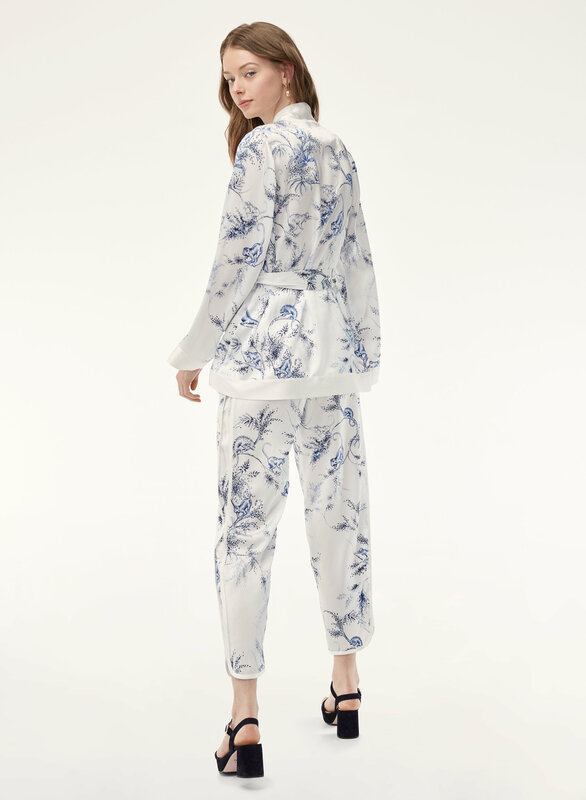 Styled with carnation bustier and snapdragon pant . 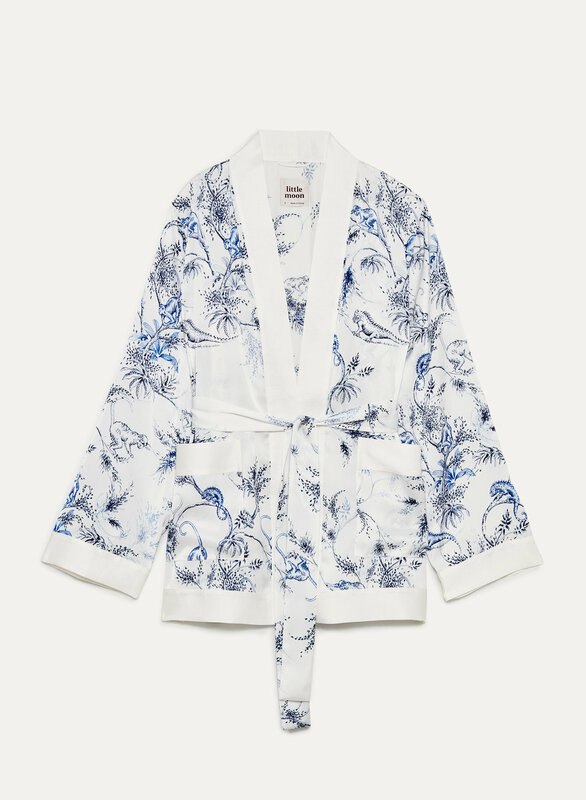 Made from lightweight, glossy satin, this robe cardigan has wide kimono sleeves and a matching sash belt — wear it open or closed. 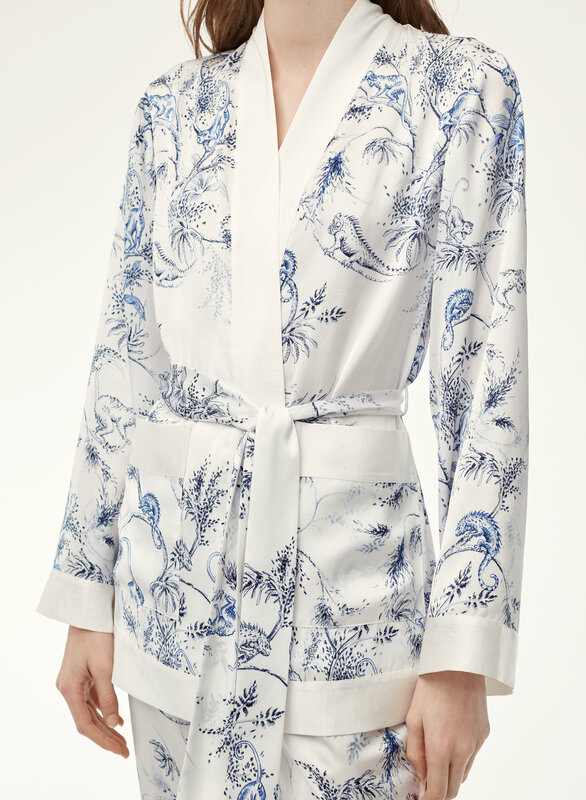 Its custom print is based on original hand-drawn art inspired by traditional French toile de jouy fabrics.